Welcome to Magazine Sixty, Spencer. Let’s start with the forthcoming Record Store Day on April 13. You have an incredible 35 releases due out. Can you give us an idea of the amount of work which has gone into making that actually possible? Overall, we started work on this straight after RSD last year with some of the titles spanning years of negotiations to land. A lot depends on trust and building relationships with labels and license holders. The start point is drawing up a target list of records we would like to release for RSD, and then it can be a long process to get agreements in place. Once finalised, they are submitted to RSD and at that point, they are sent off to manufacture. 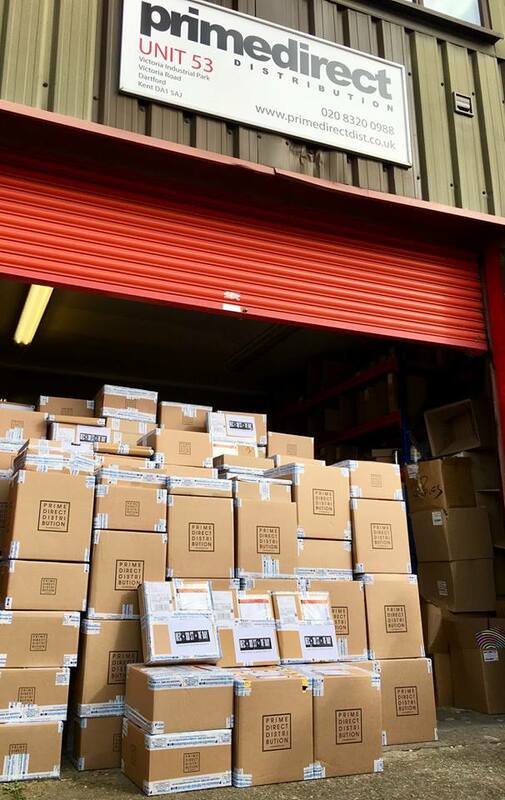 From December I myself worked solely on RSD releases for 2 months making sure all titles were pressed in time and I’d like to think it ran smoothly this year…we’re getting quite good at this! I have to add while some people are supercilious toward RSD I can’t see the problem with getting people together at record stores across the land under the banner of music…and I remember the bad old days of stores closing by the tens (and twelves), so remember fully how and why this day came about and why it should be so cherished. The releases span everything from Jazz-Funk to Disco to Acid House featuring both new and re-issued music. Can you tell us about some of your favourites and about the process of how you go about re-releasing older music? Yes, I think it’s our widest year with regard to genres covered, good music is good music so we wanted to show as much as we could. From 50-year-old crooner, easy listening jazz via The Peddlers, “on a clear day”, to a brand-new EP from Detroit’s own Norm Talley on Landed Records, we covered many bases. Most releases are via deals with ongoing partners where we aim to dig a little deeper on some re-issues while others are linked to formats…the surprise fact that Teddy Pendergrass’s “You can hide from yourself” has never officially been released on 12” before being a standout example for why something NEEDS to come out! The Garfield Fleming 12” is a personal fave and something that I’ve worked on for a long long time…I’m very pleased to be the one to get that back out there for a new generation to love all over again. There’s an obvious question of nostalgia here. What would you say is the difference between musical history and nostalgia. And do you think either are ever more important than the here and now? This question follows on from the last really; regarding re-issues, its primarily about bringing classic and not so classic sounds from yesteryear and bringing them back for generations that missed it last time and don’t have the funds to dip into the “antique roadshow” realms of £50 to £200 for a piece of vinyl. It should be “music for all” shouldn’t it? The extra bonus is that this way the artist gets paid for their work from yesteryear. At Prime you distribute both Vinyl and CD. What would your advice be to someone planning on setting up a record label releasing vinyl, and what do you see the advantages being? The obvious advantages on Vinyl is the kudos this brings a label, and not just with the deep collectors. To get the music out on a physical format, especially for a new label is not a light under taking. It requires investment of both time and money, and often it takes a while for the label to gain sufficient traction to get the attention of the key buyers to support the release. For labels who are able to reach that point, they then leave their calling cards in shops and web stores across the world. They can also directly service their fans with physical product, so labels who can sustain a physical presence get an advantage over digital only releases on a few different levels. I’d like to think we’re the good guys so absolutely approachable, we listen to everything we’re sent, and even if we don’t believe we can help a label, we’ll always aim to give them advice. I think that’s our success so far and always will be…plus we’re just about to turn 16 so no need to have that sneaky fag behind the bike-sheds, we can puff out our chests, being proud of what we do. How is the CD marketplace and how do you see the future of CD, along with other formats? CD within our scene has shrunk enormously and now only selected labels have success with this format. For us the main labels that have a brand presence with a club, event or tour, only really see CD as a viable proposition. There are still ways that it can be worthwhile, but a lot depends on the units that are being pressed but generally it is now becoming a fairly niche format within the music we cover as a whole. What are your views on music streaming and how the artists get paid as a result? Streaming is a contentious one, but for me its absolutely down to who you are as a label or an artist. We have labels that do very well financially and many many labels that use Spotify and alike correctly to widen their reach and exposure. We also have labels that earn very very little from it and others that chose to ignore it altogether. We’ve seen huge, playlisted tracks explode and streaming is a vital cog in that happening. Can you tell us about your own background, how you got into music and who the most important artists for you? I started record collecting at 9 (The Specials/The Specials LP, bought on the Record stall at Deptford Market 1979! ), by my teens I was into Reggae, Hip Hop then that thing called House and became a DJ (when it was for nerds only), which turned to be a fair to middling success. Then, in my 20’s began working in the music industry so I can’t really remember when I wasn’t into music. 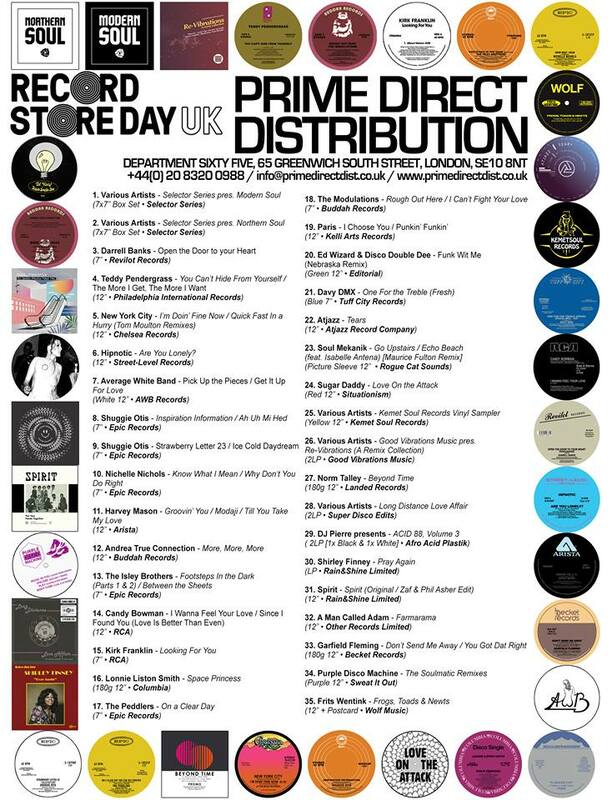 The “career” happened once DJ’ing took off in the early 90’s so a needed a job that suited my passion hence an entry level position in a rather big distribution company and it kind of grew…now I’m proud to work with the greatest team at Prime that I’d call friends. We’ve a combined 250+ years industry experience which must put us at some kind of Yoda level. 10’000 hours you say? Pffft!…can you imagine the opinions flying around the room when we’re having a label management/sales talk? With 500+ labels at Prime I’d never be able to pick an artist, its just impossible, but I am as enthused with Prime signing a new label from young talents starting out as I am licensing an absolute classic from back in the day. And finally. 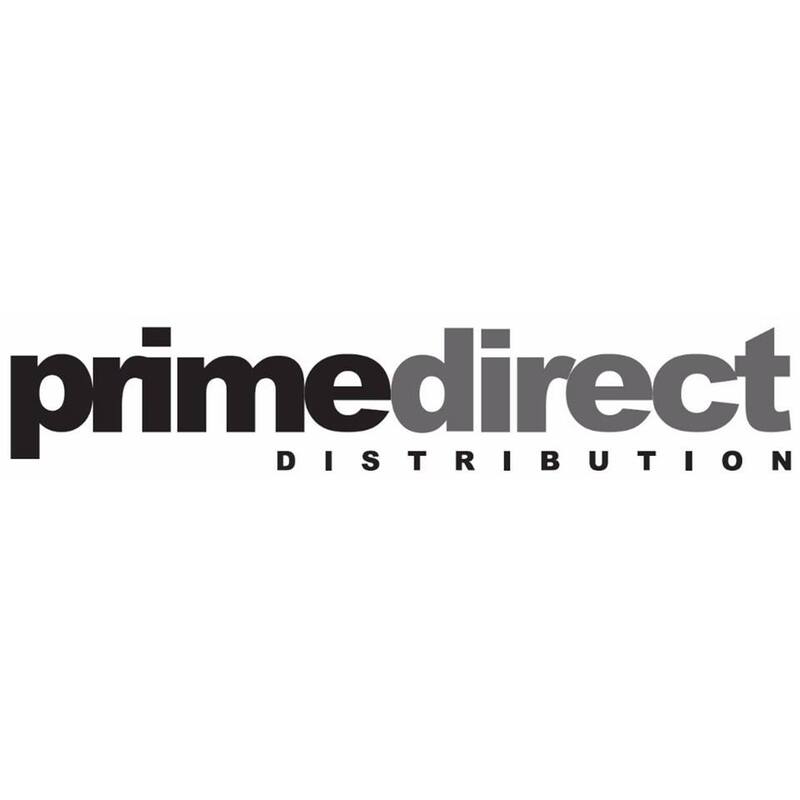 Tell us about your plans for the future of Prime Direct Distribution? New accounts are continuing to open up in weird and wonderful locations in what has been for a while, a thriving scene. We are always looking to widen our coverage, and to keep our offerings interesting for those stores. The re-issue and edits scene are both strong, and we are drawing the two together, with official re-edits of classic tracks. We are also very focused on new material, and breaking new artists and labels, as this will always be what drives the industry forward, that constant pushing of new boundaries, discovering new sounds. We mix the old and the new, be that in terms of the music we put out, or the formats they are available on. People all have different preferences on what they like as well as how they consume music, our aim is to offer labels and stores as much choice as possible. And to keep finding the treasure for tomorrow’s diggers and headsy club-folk alike.